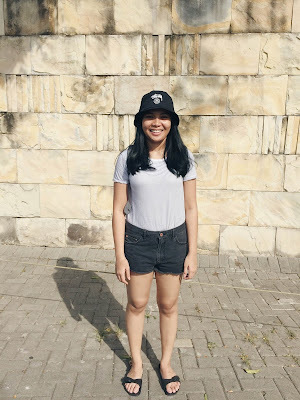 My name is Okty Syaira, 24 years old and living in Bekasi (near by Jakarta), Indonesia. I just graduated and have earned a Bachelor of Arts in International Relations from President University. 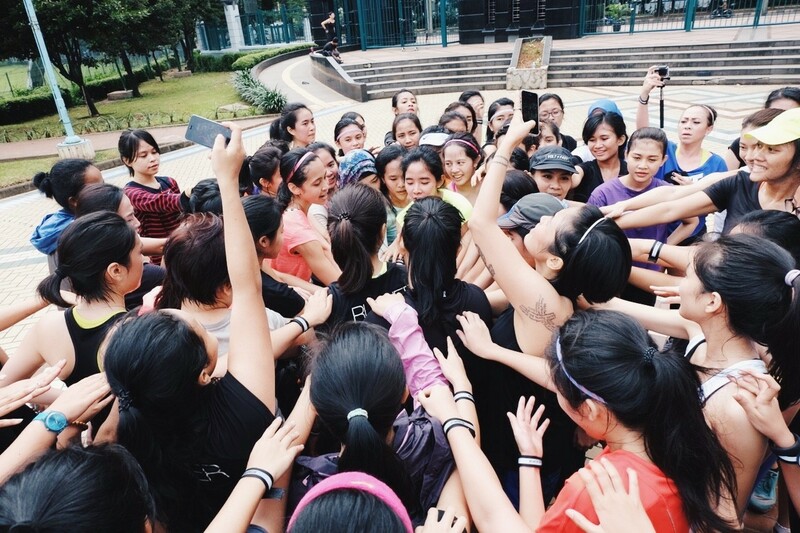 I've been running with Galaxy Running Club (GRC) for almost 2 years. Before I started running, I did a lot of sports such as yoga, TRX, zumba and muay Thai to lose weight and keep healthy. Up until now, running has become my passion and hobby. My first proper run was in November 2013 with GRC. It was pretty fun because I ran with some new friends from GRC. I believe running along with your running friends is way more enjoyable and fun rather than running by yourself. 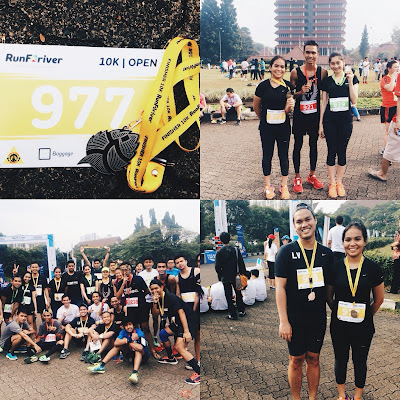 Friend of mine, Ayu Pratiwi who invited me to run with GRC. I used to run by myself on treadmill but it was so boring then I decided to join with GRC. Since I was in Senior High School I’ve been interested in fashion. Especially with the international models and fashion designers. I’m trying to keep up with the latest fashion by watch the fashion show online or observe the trend on Tumblr. Nowadays, I’m more interested in street culture specially sneakers and clothes. I like to mix and match between dresses and sneakers. Actually I have way more sneakers than heels. I also like to wear men t-shirts such as Stussy, The Hundreds and Undefeated. 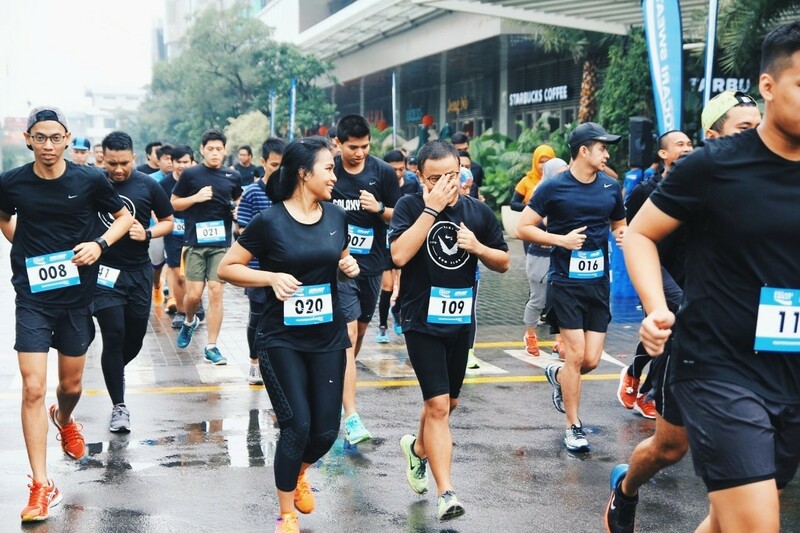 In Indonesia, especially in Jakarta, nowadays there are lots of running clubs. Each running clubs have many members or participants. Besides running with GRC, I run with other running clubs as well. By this I get more new friends with same passion and hobby. 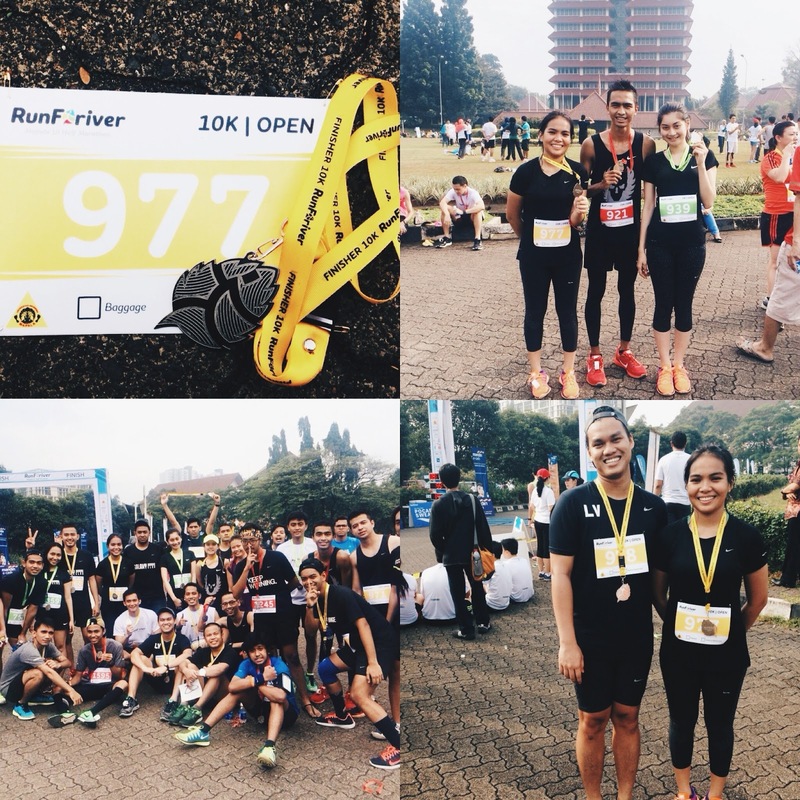 Those running clubs are also like to create events that able to unite runners from all over areas. It’s a good opportunity to get to know with each runners. First started the run I just relied on the running application on mobile phone to measure the distance, time and pace. As the time goes by, I realized that carry a mobile phone during a run is not practical and heavy. Then, I decided to buy a sports watch. It’s very helpful and simple although it’s a bit pricey. Throughout my running activities, I have never experienced any serious injury. Perhaps only a dull ache in my leg and thigh. My parents are always reminding me to take vitamins D and get more calcium for strong bones. But lately I experienced mild knee pain. My right knee is often swelling and getting worse when taking downstairs. Every time the pain strikes I take a medicine to reduce the pain. I believe and I think that if I finish every race that I join without injury is achievements for myself. I used to never have in my mind that I would join any running races. I only think that run was for my health. 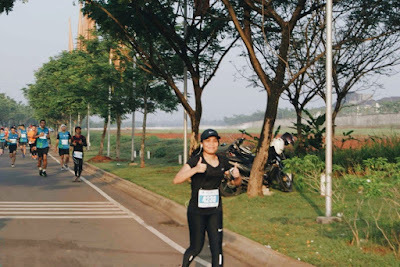 My first race was 5K run. At that moment I was amazed to my friends who join the 10K run. After some times, I brave myself to join the 10K races. Honestly, I’m not a type of person who ran fast. I haven’t finish 10K run in 1 hour. But I do not feel hopeless; and again brave myself; at the end of 2014 I ran my first half marathon ever without companion. I admitted that this was the toughest race I've ever joined. The hot and humid weather, cramped leg and a voice in my head that told to me to gave up. As I calmed myself, finally I finished the race. I want to do half marathon again. After that, I intend to do full marathon maybe next year or long run with my running friends. I'm more active and often shared photos about my daily life, hobbies or running activities on Instagram. I also following a few running clubs on Instagram. I can get information about running races or running events on it. Pink reminds me of women. Pink is a delicate color that means sweet, nice, cute, romantic, feminine and tenderness. It comes up with a variety of different images and concepts such as flowers, femininity, Barbie, breast cancer etc. Pink is primarily recognized as a feminine color. It’s for this reason that the color is used as a universal symbol of hope and awareness in the fight against breast cancer. Pain is temporary. Don’t let pain deter your intention. As long as you’re strong enough and believe in yourself, you can do it. Run is not just a sport for men. Nowadays, lots of women who are start to run. It can provide many benefits to our bodies. Besides being able to burn calories, it can also improve mood and develop new nerve cells. I’ve lost around 9Kg since I started run. However, Every time I ask my friends to run together, they’re always say that they’re slow, embarrassed because cannot keep up with other runners. 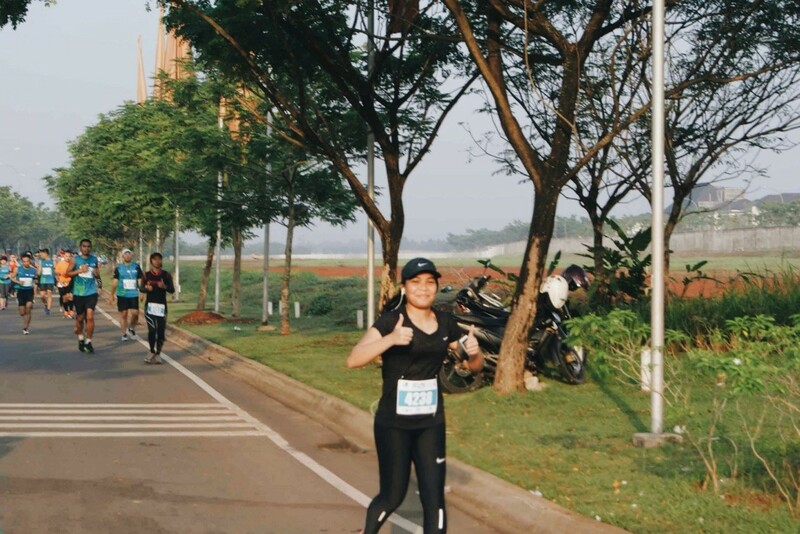 Actually, that doesn’t matter if you’re slow as long as you have an intention to run and want to have healthy body. I should have been running since I was younger. Maybe I wouldn’t gain weight like I used to. Lol. I could be healthier and even happier by running.